British scientists have developed Eve, an artificially intelligent “robot scientist” that could make drug discovery faster and cheaper. Based at the University of Manchester, Eve has already discovered that a compound shown to have anti-cancer properties might also be used in the fight against malaria. Eve was developed by researchers at the Universities of Aberystwyth and Cambridge. In 2009, they announced Adam, the first machine to independently discover new scientific knowledge, according to the researchers. Eve is designed to automate early-stage drug design. In a study published today (February 4) in the Royal Society journal Interface, the researchers describe how the Eve robot can help identify promising new drug candidates for malaria and neglected tropical diseases such as African sleeping sickness and Chagas’ disease. “Eve exploits its artificial intelligence to learn from early successes in her screens and select compounds that have a high probability of being active against the chosen drug target,” says professor Steve Oliver from the Cambridge Systems Biology Centre and the Department of Biochemistry at the University of Cambridge. First, Eve systematically tests each member from a large set of compounds in the standard brute-force way of conventional mass screening. The compounds are screened against assays (tests) designed to be automatically engineered, and can be generated much faster and more cheaply than the special-purpose assays that are currently standard. This enables more types of assay to be applied, more efficient use of screening facilities to be made, and thereby increases the probability of a discovery within a given budget. Eve’s robotic system is capable of screening more than 10,000 compounds per day. However, while simple to automate, mass screening is still relatively slow and wasteful of resources as every compound in the library is tested. It is also unintelligent, as it makes no use of what is learned during screening. To improve this process, Eve selects at random a subset of the library to find compounds that pass the first assay; any “hits” are re-tested multiple times to reduce the probability of false positives. Taking this set of confirmed hits, Eve uses statistics and machine learning to predict new structures that might score better against the assays. Although she currently does not have the ability to synthesize such compounds, future versions of the robot could potentially incorporate this feature. To test the viability of the approach, the researchers developed assays targeting key molecules from parasites responsible for diseases such as malaria, Chagas’ disease and schistosomiasis and tested against these a library of approximately 1,500 clinically approved compounds. 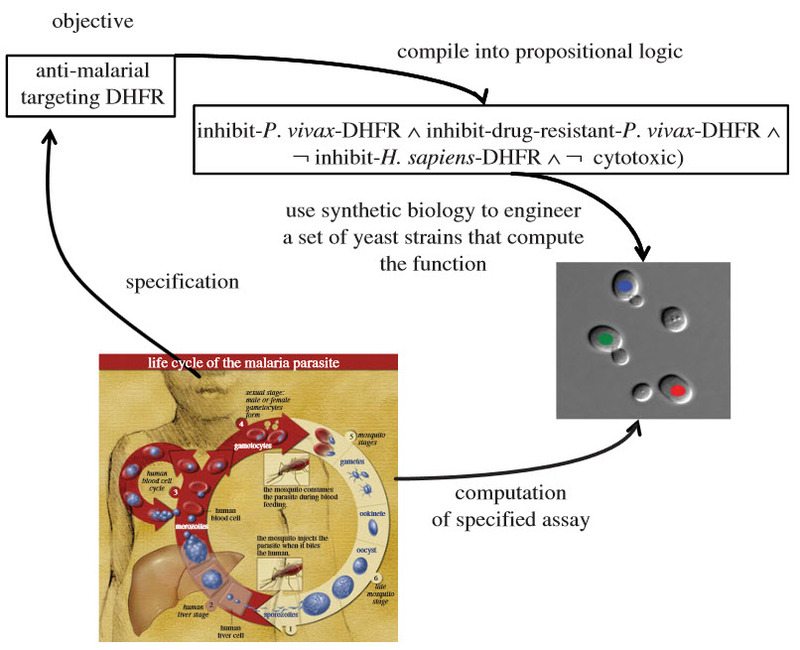 Through this, Eve showed that a compound that has previously been investigated as an anti-cancer drug inhibits a key molecule known as DHFR in the malaria parasite. Drugs that inhibit this molecule are currently routinely used to protect against malaria, and are given to over a million children; however, the emergence of strains of parasites resistant to existing drugs means that the search for new drugs is becoming increasingly more urgent. “Neglected tropical diseases are a scourge of humanity, infecting hundreds of millions of people, and killing millions of people every year,” says Oliver. “We know what causes these diseases and that we can, in theory, attack the parasites that cause them using small molecule drugs. But the cost and speed of drug discovery and the economic return make them unattractive to the pharmaceutical industry. There is an urgent need to make drug discovery cheaper and faster. This will enable the development of treatments for diseases currently neglected for economic reasons, such as tropical and orphan diseases, and generally increase the supply of new drugs. Here, we report the Robot Scientist ‘Eve’ designed to make drug discovery more economical. 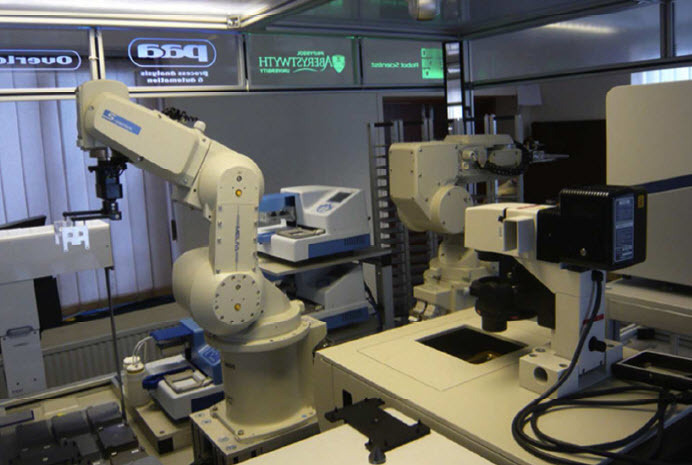 A Robot Scientist is a laboratory automation system that uses artificial intelligence (AI) techniques to discover scientific knowledge through cycles of experimentation. Eve integrates and automates library-screening, hit-confirmation, and lead generation through cycles of quantitative structure activity relationship learning and testing. Using econometric modelling we demonstrate that the use of AI to select compounds economically outperforms standard drug screening. For further efficiency Eve uses a standardized form of assay to compute Boolean functions of compound properties. These assays can be quickly and cheaply engineered using synthetic biology, enabling more targets to be assayed for a given budget. Eve has repositioned several drugs against specific targets in parasites that cause tropical diseases. One validated discovery is that the anti-cancer compound TNP-470 is a potent inhibitor of dihydrofolate reductase from the malaria-causing parasite Plasmodium vivax.